The University of Louisville’s Arts and Culture Partnership and The Filson Institute for the Advanced Study of the Ohio Valley and the Upper South announces a three-day academic conference to explore the environmental history of North America. The conference, which will take place in Louisville, Kentucky, at the University of Louisville and The Filson Historical Society, is part of the City of Louisville’s 2015 YES (Year of Environmental Sustainability) Fest. 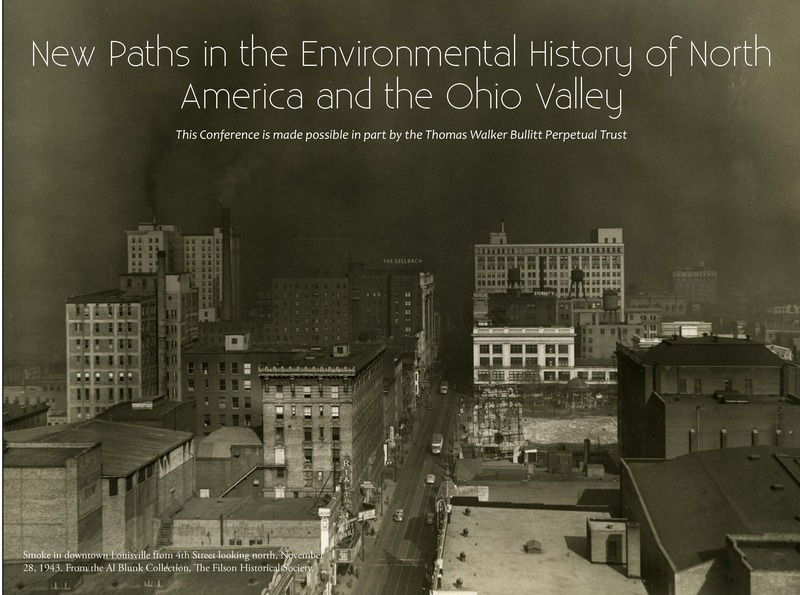 The conference will explore the history of interactions between humans and the physical environment of the continent, with a particular focus on issues most relevant to the environmental history of the Ohio Valley from the sixteenth through the twenty-first centuries. The conference seeks to understand the changing nature of the landscape, the built environment, and the political and cultural debates over how to protect and exploit the physical environment. Please submit proposals of no more than one page clearly outlining subject, arguments, and relevance to the conference theme, along with a vita of no more than two pages, to Jamie Evans (JEvans@filsonhistorical.org), by May 4, 2015. For panel proposals please provide a one-page summary of the panel in addition to paper proposals and vitas from each participant. Funds will be available to help defray the travel costs of participants. The conference will begin Thursday evening with a keynote address by Professor Uwe Lübken, Research Fellow at the Rachel Carson Center for Environment and Society, Ludwig-Maximilians-Universität in Munich, Germany. On Friday and Saturday, the conference will meet in consecutive plenary sessions, with three sessions each day. For questions concerning the conference, please contact Dr. A. Glenn Crothers at glenn.crothers@louisville.edu, or consult The Filson website at: http://filsonhistorical.org/education/filson-institute-conferences/.